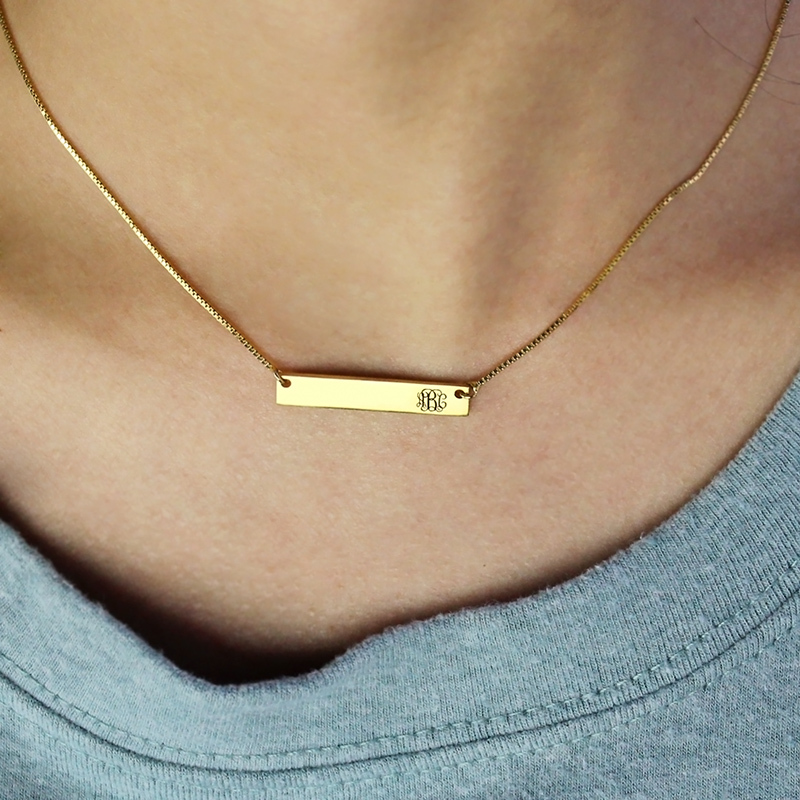 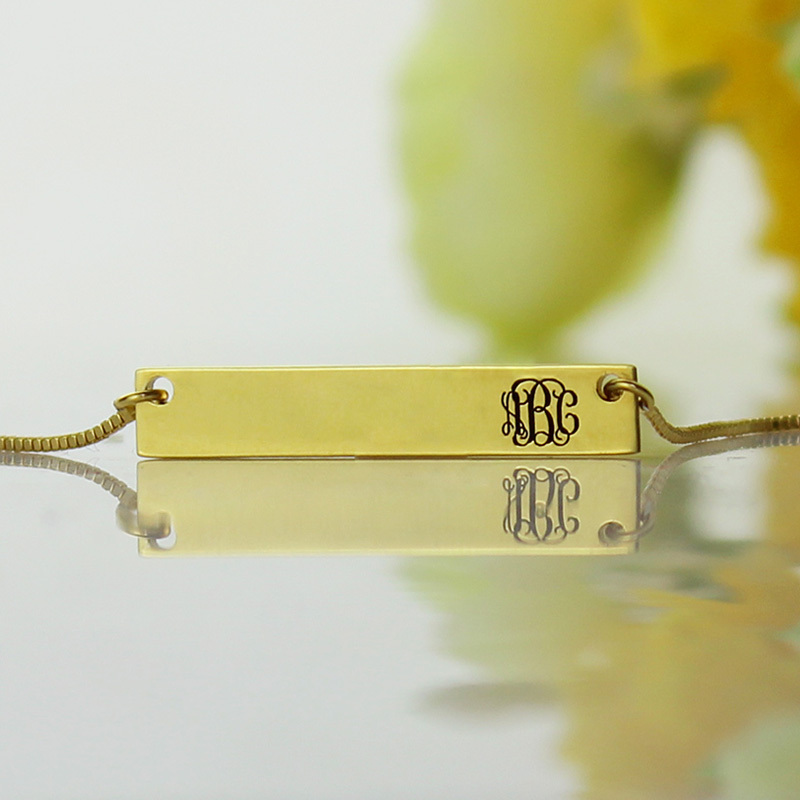 Gold Initial Bar Necklace Monogram - When this minimal delicate bar necklace combine a classic script monogram, you can see a new stylish piece of jewelry. 3 initial bar necklace can be worn with any outfit, for any occasion. 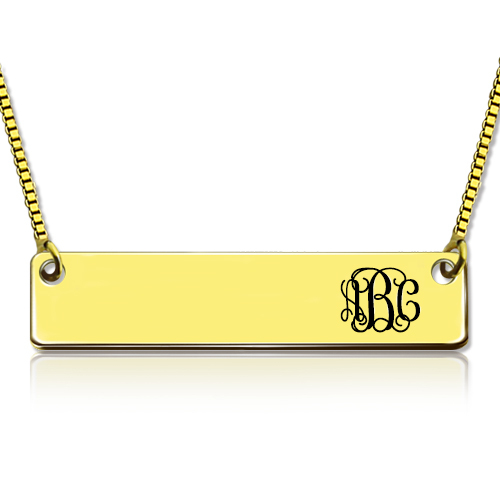 Celebrity name bar necklace is a hot trend for fashion ladies! You must have one!